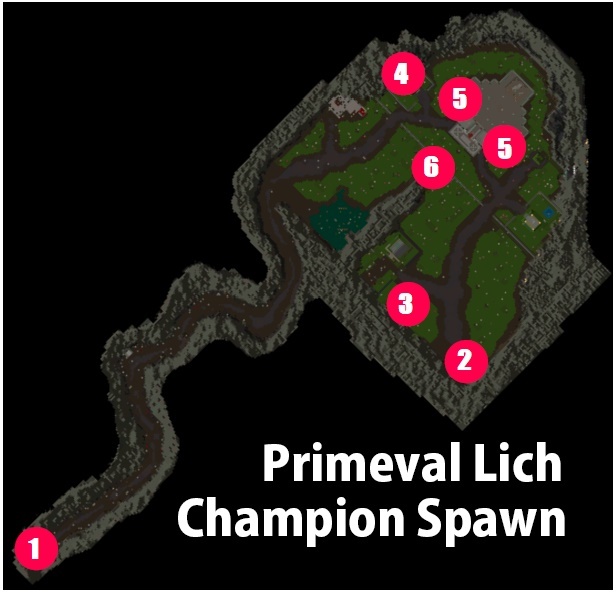 Primeval Lich Champion Spawn is one of the two champions of the Stygian Abyss expansion. 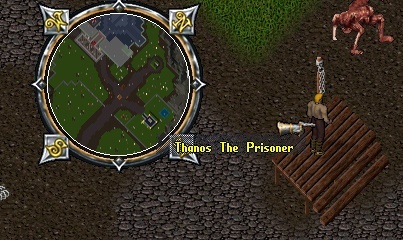 Entry from the Abyss Dungeon. During the progression of Champion Spawn static decorative items will appear and as the champ advances there will be the possibility that one of these items will be duplicated and collected. 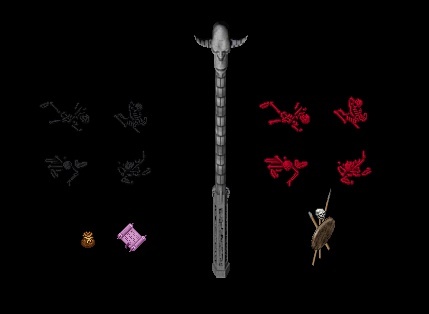 These items can be found in the same location as the static ones but they are very difficult to distinguish being a copy of the statics that once the boss is out they will disappear unlike their copies. Many of these objects are divided into pieces, for example the Vat is made up of 6 pieces, while others are made of one piece. All the objects that can be collected in the area of the champ are not functional, for example the Soulforge is a simple decorative item or the iron Maiden does not have the same function as the anniversary award. 9° Red Candle Iron Maiden, Death Vortex, Rack, Skull, Crystal Pedestal, Pixie Thropy, Large Stone Spike and Stone Spike. Once the champ has been activated, 8 colored levers will appear inside the structure near the altar, only 6 of these can be used while the remaining two are to be excluded because if double-click they teleport in a random spot of the champ. With the advance of the Champion Spawn near the altar will appear bones called "Restless Bones", these bones are named and if you return to the same tomb double-clicking them and targetting the naming Gravestone you can receive a defensive bonus that allows you to suffer less damage is magical that physical or a Soul Gem that can be thrown at the Primeval Lich to harm him. At some point in the Champ will appear a Prisoner on the Pillory, if it is doubled and then released can help with the holding of the champ by killing monsters or in some cases will attack who released him.